Welcome to The minecrafters.nl website. We have a minecraft build server, that is based in the Netherlands. 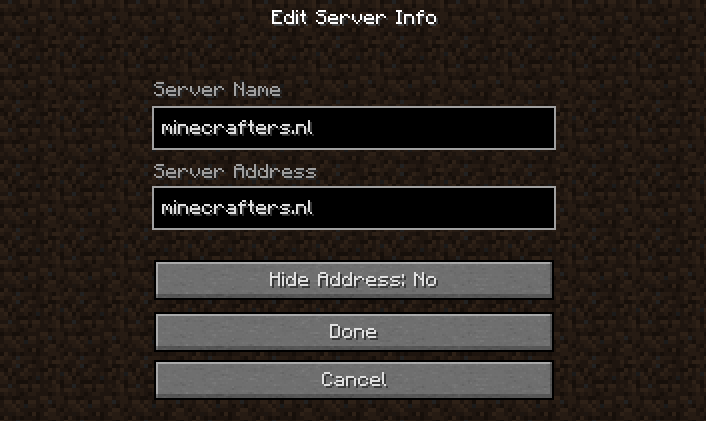 You can connect to our server by entering minecrafters.nl into your minecraft client. A combination of realistic Build, survival, pvp, farming and trade server. Every block on this server is obtained and placed by hand. No cheats! We dont use worldedit, creative, give, at all! Only quality handwork. Different levels of builders: everyone starts as a builder and can become kilobuilder, megabuilder or even gigabuilder. A higher builder class has acccess to more tools, and can build at more places. To go level up one needs to show his build skills to the server team. Protected regions: Every builder has right to at least one private region. Only he can build there. Every builder can add friends who can also build inside his region. Ask any region-manager on the server to give you your own region. You can die: A simple fall or burn can kill you. There are pvp zones and zones where mobs can be found. being in these zones for too long can hurt your health too. You need to have a steady supply of food to recuperate. You're on your own: Outside of protected areas you are on your own. No one will heal you, no one will teleport you if you are lost. If you are lost and your food runs out in the dark night, you will have to survive! Animals: We have animals for food and items. Evil mobs: We have enemy mobs and you either kill them or they will kill you! PVP-mode: You can enable the PVP-mode by using the command: /wiim pvp. This will put you in PVP mode for 5 minutes. You can also see who else is in PVP mode via /wiim pvplist. The wilderness: Outside of cities there are zones where pvp can occur. Be cautious! Trading and selling of items and blocks: Everyone can make his own shop. And sell items for a fee. Start your own enterprise and become rich! Limited give commands: Economy is about choices. You need to choose because you cannot be given everything you like.That is why we have limited the use of give so people need to trade to fulfill their needs. Movement: There are several ways you can move around the server. First of all there is the World Rail System. It features automated trains consisting of minecarts that stops at dozens of stations. The network of railways is a constantly improving system. Everyone can buy teleporters in regions they own or are member of. They can link their teleporters and set a price for using their teleporters. A fair world: It is not fair if some people can easily find large amounts of expensive items, while others have to work hard for them, that is why we block any hack or cheat we know of to make it fair for everyone. On the other side, like in the real world crime happens, and our staff tries to find and stop criminals to stop them from hurting others. On the video page you can find videos of some of the buildings on our server. We have more than 30000 player accounts. 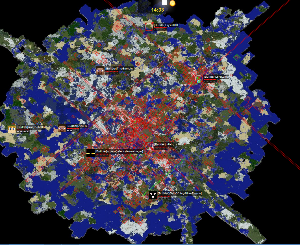 And more than 500 million blocks have been altered in survival mode without any cheat. We hope you will join to help us build more and better. Be welcome on our server. We hope to see you soon and build trade and survive together! Your browser does not support inline frames or is currently configured not to display inline frames. Content can be viewed at actual source page: http://www.minecrafters.nl:1235/info/minequery/playerlist.php?. The server has been updated to 1.9.4. This update causes incompatibility with many of our minigame plugins. They will be fixed one by one. We want to upgrade the server so it becomes better and more people can play on it at the same time. You can help if you want by donating .